Would audiences have stayed away in droves had this first WASO Masters Series concert for 2019 been entitled Poulenc Stabat Mater or Ravel Shéhérazade, rather than Mozart Symphony No 40? I doubt it. That’s because together WASO and principal conductor Asher Fisch are now such a drawcard they’re worth hearing in anything. 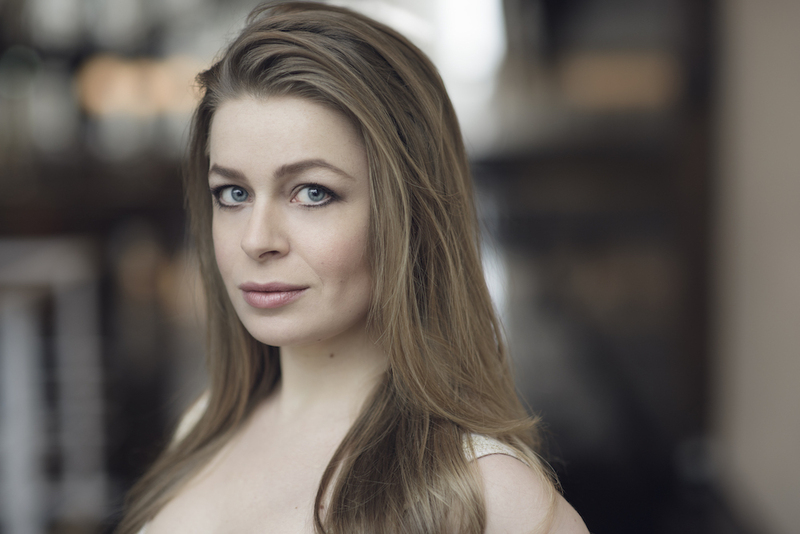 Add WASO Artist in Association for 2019, soprano Siobhan Stagg, and the combined forces of the WASO Chorus and St George’s Cathedral Consort into the mix and it’s a no-brainer. Still, good to hook ‘em with something tasty and familiar, I suppose. Not that Mozart’s Symphony No 40 in G Minor is anything less than one of the great orchestral masterpieces of the classical era. And what a curtain raiser it makes, especially here, with Fisch and WASO firing on all cylinders right from the get-go. So many performances miss the poignancy of the first movement’s major-key bridge, just before the second subject kicks in. Not here, with Fisch establishing a bitter-sweet dialectic that will serve him well for the entire symphony. That’s to say, between the ferocity of the first and last movement’s development sections – those WASO strings! – and between the luminosity of the Andante – the only major-key movement in the symphony – and the tense syncopations and dissonances of the third-movement minuet, Fisch and WASO managed to traverse emotional and psychological realms normally you’d more commonly find in Mahler. Amazing. By contrast, the sensuous languorousness of the three songs comprising Ravel’s Shéhérazade for solo soprano and orchestra was like easing yourself into a warm, scented bath. Sailing to Damascus, India, Persia, China… encountering exotic peoples, foods, textiles, art and music… the poet Tristan Klingsor’s Orientalism might not be so PC today but it is gorgeous, as are Ravel’s use of modal material, rich orchestration and meticulous word-setting. Stagg was a sympathetic, expressive soloist, relishing every word as though it were a sip of wine; it was a pity then, as is often the case in live performance, that the balance between voice and orchestra was not equally sympathetic to the texts. Mention, too, should be made of Andrew Nicholson’s fine flute solo in La flûte enchantée. After the interval came the main course of the evening, Poulenc’s setting of the Stabat Mater. This was the first time WASO had ever performed the work in public. On the strength of this account, let’s hope it won’t be too long before the next time. Joined by Stagg, the WASO Chorus and St George’s Cathedral Consort, WASO and Fisch in a sense brought us right back to the emotional sound world of the Mozart – explicitly in the opening movement, which recalled Mozart’s Requiem and parts of Don Giovanni. Even the following Cujus animam, in its threatening thunder, seemed to reference Mozart’s Dies irae. How much more effective, then, was the luminous a cappella sections of the O quam tristis, here sung with such poise and tenderness. The following nine movements drew performers and audience members alike further and further into something dark and strange. The Quae moerebat in an unexpected major key. The Quis est homo terrifying, dramatic. The Vidit suum, its solo soprano line incised on a throbbing orchestral accompaniment. The Eja mater almost obscenely festive. The initially exposed soprano and tenor sections and consummating harmonies of the Fac ut ardeat. The initially dark, then contrasting high and low, chants, and the massive crescendo in the Sancta mater, the most substantial and dramatic movement in the entire work. Finally, the funereal saraband of the Fac ut portem, the contrasting violence and tenderness in the Inflammatus et accensus and the extraordinary Quando corpus morietur, with the stunning abruptness of its final Amen.